We apologize for the short notice on this; it just arrived on Monday. The IL Attorney General’s Office is seeking your input about how to improve public safety and build community trust. Share your personal experiences, concerns or suggestions. 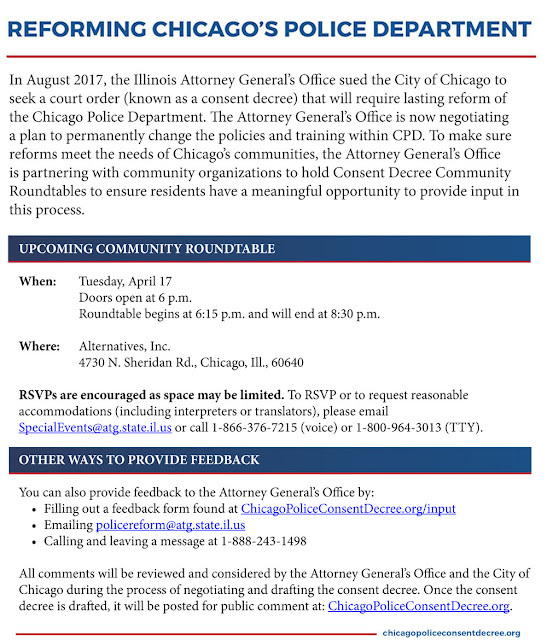 There will be a community round table discussion tonight (Tuesday, April 17th) as part of the Office of the Attorney General's work on police reform. Some background: Attorney General Lisa Madigan filed a lawsuit to seek an enforceable consent decree to implement reforms outlined by the U.S. Department of Justice in its investigation of the CPD. 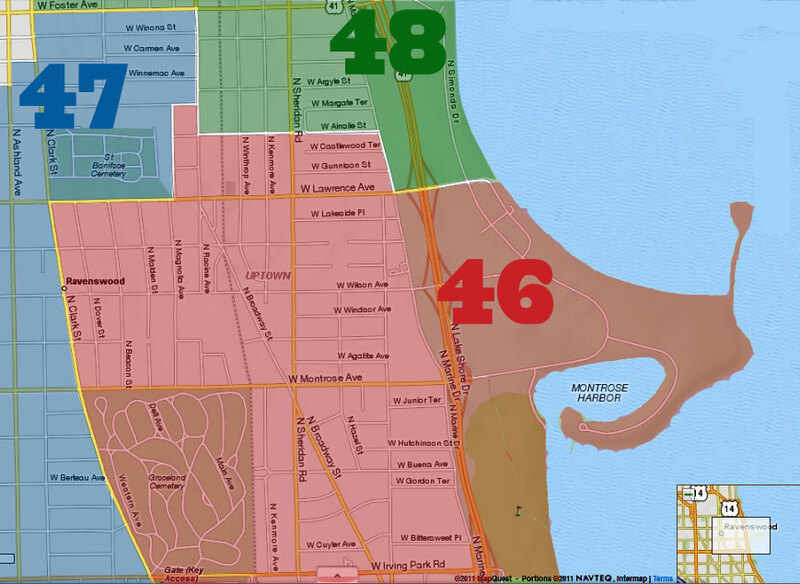 A consent decree would be overseen by a federal judge, with help from an independent monitor. 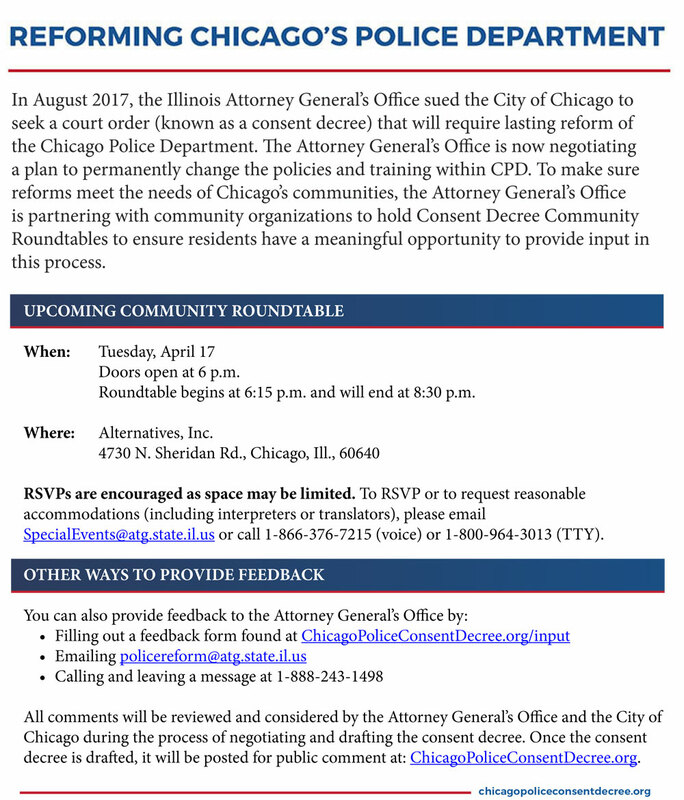 "The goal of the roundtable discussions is to ensure that all Chicagoans have an opportunity to provide meaningful input on the terms of the consent decree. 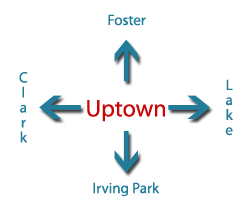 UIC’s Institute for Policy and Civic Engagement will be leading small group discussions that will follow a brief overview on what a consent decree is and how the information that participants provide will be used. All feedback at these events will be anonymous and will be incorporated into a final report prepared by UIC. The event will be held Tuesday, April 17th at Alternatives, Inc. Doors open at 6pm and dinner will be served. Roundtable discussions begin at 6:15pm. 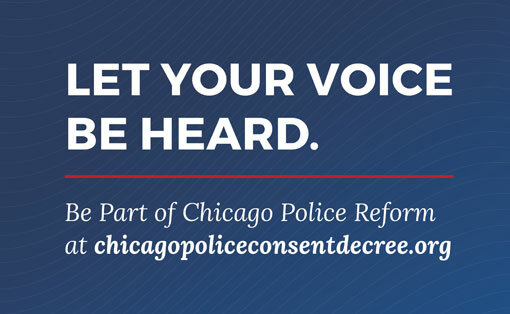 If community members would like to provide feedback, but are unable to attend one of the scheduled community roundtables, they can submit feedback through the consent decree website at http://chicagopoliceconsentdecree.org/. You can also leave feedback by leaving a message at 1.833.243.1498. @ILAttyGeneral."